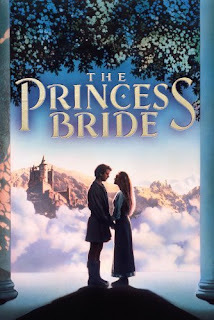 I never understood how The Princess Bride, one of the best movies ever made, could wind up with a rating of only 8.2 on IMDB. It even has several one-star reviews. I can only surmise that these people were mostly dead when watching it. Hated the Princess Bride. It is a sexist pile of garbage. Not remotely funny, at least not intentionally. The only part that had me and my g/f laughing was the part where they encounter the rats. They looked so bad it was amusing. Can anyone explain to me anything about this movie that is mildly amusing, Wallace Shawn is so annoying, the dialog is replete with stinkyocity and the story is so simplistic a baby would be bored! Now there is nothing offensive about the movie but I will bet you my kids would hate this but I may never know because I can't bare sitting through it again. Scores highly on the sphincter clencher scale. I was also surprised that Peter Falk would lend his talent to a production of this caliber. Maybe he was in need of money, who knows. Anyway, a waste of my money (I was foolish enough to buy the DVD) and of my time. This movie is nothing but a load of boring, contrived, clichéd, CRAP!! No originality whatsoever. AND don't get me started on the acting!!!! This has to be the worst acting I've seen in my life....totally laughable and amateurish to say the least. It's outright disgusting. The torture scene alone is enough to get this movie banned from my family video library. It's so senselessly, meaninglessly cruel that I couldn't watch it myself, let alone show to my kids. The sick obsession with bloody vengeance ("Prepare to die! Prepare to die! Prepare to die! Prepare to die!" ad infinitum) is immoral almost to the point of absurdity. Send in the brute squad! Such people deserve to be thrown into the Pit of Despair!